In this workshop, we will learn how to add dimension to stories so that they become multifaceted. We will create layers within the narrative so that our characters move through authentic worlds, whether those worlds are realistic or fantastic. Every story has a central question, but around this central question is an entire narrative ecosystem. This workshop will consider how to craft this narrative ecosystem with authenticity and complexity. You will come away from this with tools to better conceptualize your stories so that the crafting begins long before you reach the page. 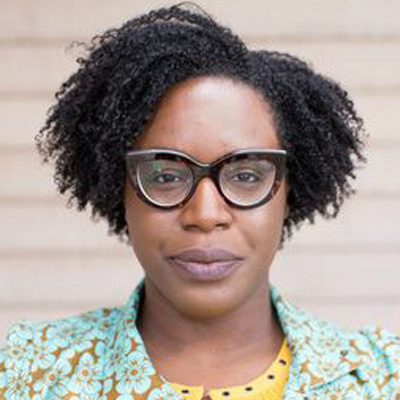 Lesley Nneka Arimah was born in the UK to Nigerian parents and grew up wherever her father was stationed for work, which was sometimes Nigeria, sometimes not. She is the author of What Happens When a Man Falls from the Sky (Riverhead, 2017), which was named one of the most anticipated books of 2017 by Time Magazine, Elle, the Chicago Tribune, the Boston Globe, the Millions, Nylon, and the Minneapolis Star-Tribune. Winner of an O. Henry Prize and the Africa Regional Winner for the 2015 Commonwealth Short Story Prize, she has been published in The New Yorker and Granta. Her story “Light” was winner of the 2015 Commonwealth Short Story Prize for Africa, and she has twice been shortlisted for the Caine Prize, 2016 and 2017.